I attended a wedding a few weeks ago. During the reception, while eating dinner, the conversation turned to food and a fellow guest issued me this challenge: Why is it bad to use corn as a raw material for foods and as a feed for farm animals? 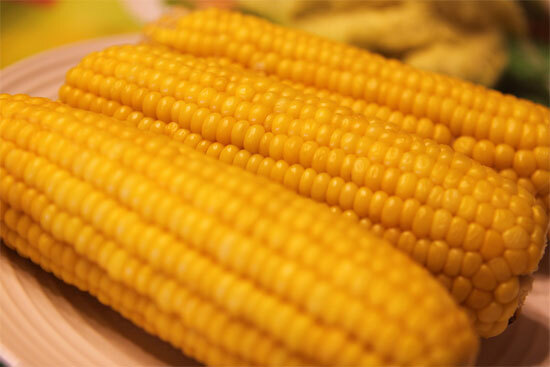 There’s a lot of corn in America, but very little is destined to end on your plate in a natural form. Rather, almost all farmed corn goes to concentrated animal feed operations (CAFOs) or processing facilities to create products like high fructose corn syrup and ethanol. Creative use of corn stems from its abundance, and that abundance is due in part to government subsidies. Farmers receive more money for corn so that’s what they grow. Corn drains nutrients from soil, particularly nitrogen. Traditional farms use cover crops or rotation to restore fertility. Conventional farms use fertilizer — lots and lots of fertilizer. And then they use chemical pesticides. Production of fertilizer and pesticide requires external energy input. What used to be powered by sunlight and rain showers is now dependent on fossil fuel. Economic: Rising costs of transportation make global food supply chain unsustainable. Environmental: Large industrial farms, particularly CAFOs, tend to pollute local ecosystems. Romantic: Buying locally and naturally from small farms is better just because. American farmers want to feed the world. That’s a noble goal, but implicit in the credo is that American farmers should feed the world. Food is a cornerstone of culture. Not just what’s on your plate but the meal in its entirety. Decisions that went into meals were not arbitrary. I’m talking about farming practices, ingredient selection, and cooking. Habits became tradition and tradition became culture. American farm imperialism, then, erodes the meaning of food. Someday the entire planet may be eating foodlike substances derived from the vast cornfields of America’s heartland, but it is a future that can only occur through the annihilation of food cultures. That’s why I’m not a fan of corn.